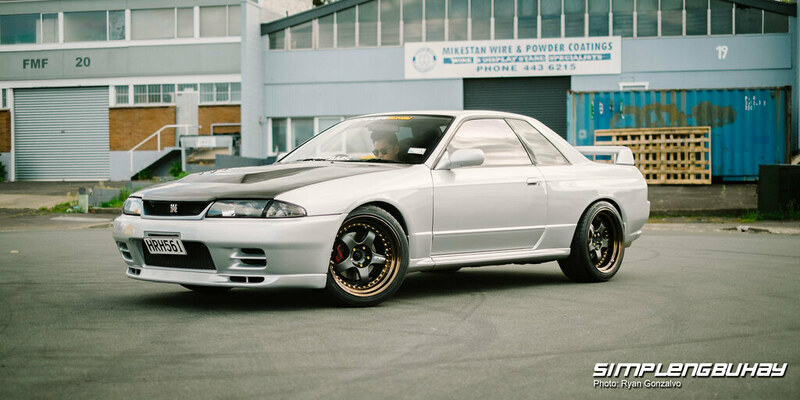 Today we have Gwens Binueza’s Nissan Skyline r32 GT-R. 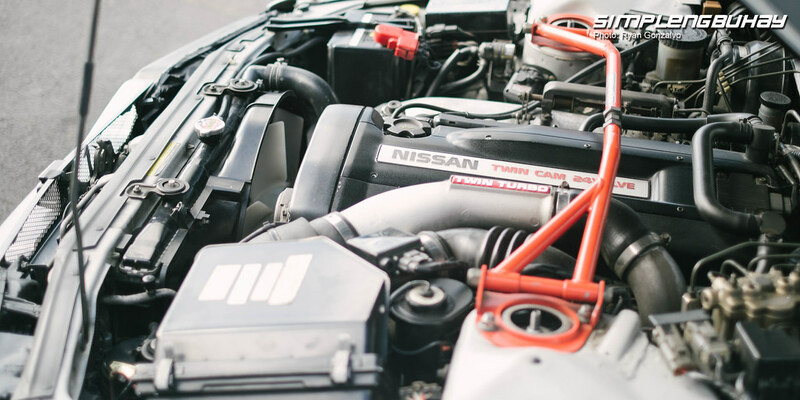 Here at Simplengbuhay Garage we don’t just talk about the specs sheet of a car but the story behind the driver and his build. 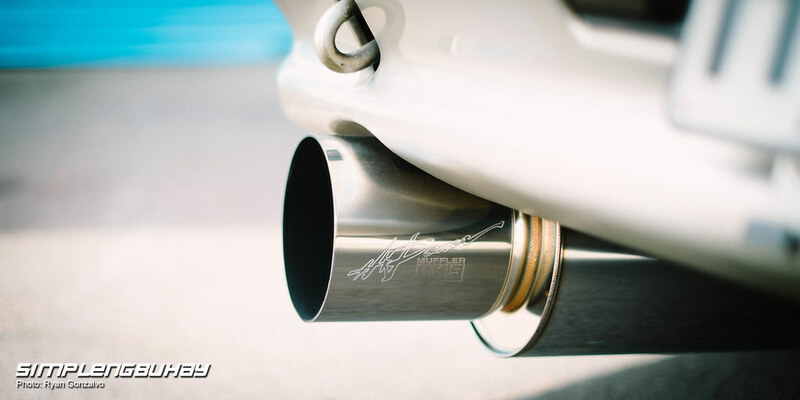 For us car enthusiasts, we dream to drive a car that fascinates us, something that make us who we are. For Gwen Binueza, that dream turns into a reality. If you have been following us, i’m sure you have seen this GT-R once here if not, quite a couple of times. 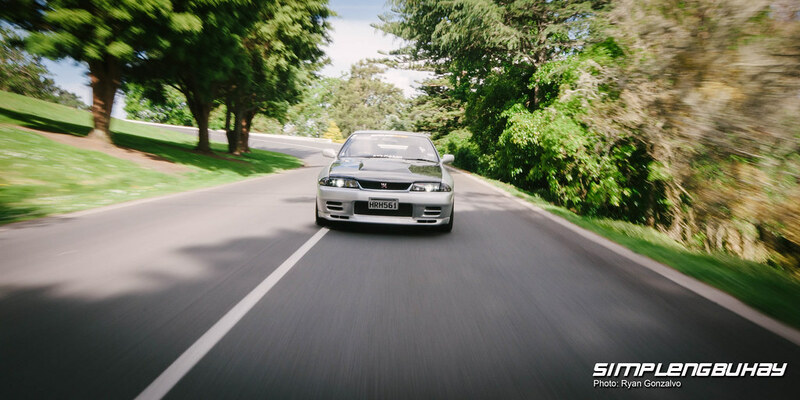 We were bugging Gwen for the last couple of months to try and put the story behind his GT-R, and here we are almost a year after.Gwen said that his GT-R dreams started back when he was on his teenage years working with cars with his father (who’s a car enthusiast as well). 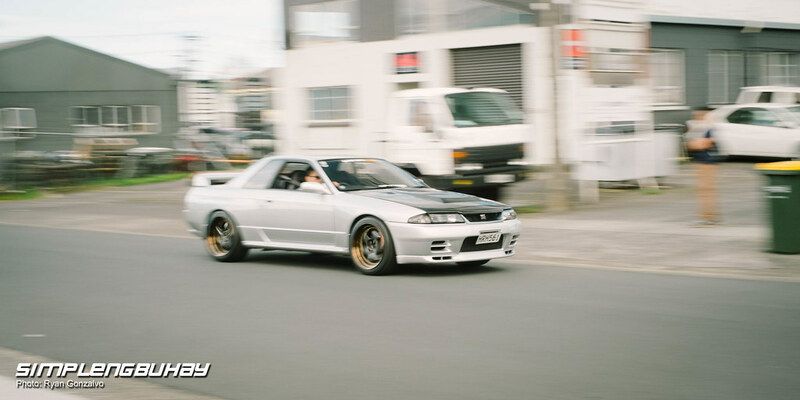 Influenced by the anime car series Initial-D since the 90’s and a go signal from his wife Jade, Gwen decided to buy his iconic R32 GTR. 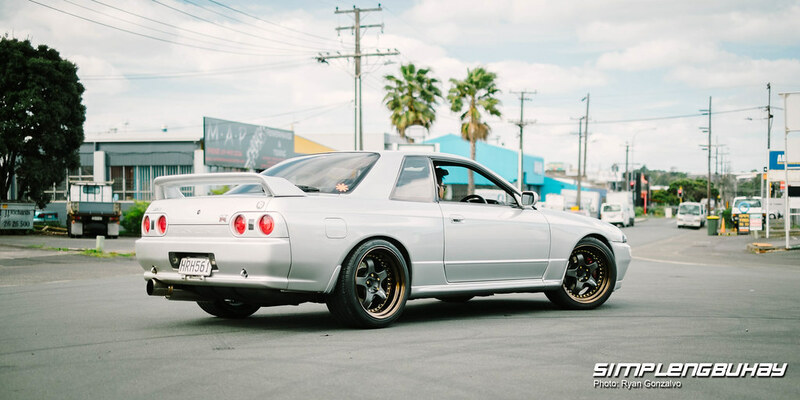 When he first got the R32 he said that he slapped a not-a-usual set of Mags on it. He put a Varstoen V3 in front and a Rota Grids in the rears. Which he stated was a “budget” wheel choice for the sake of the looks. He then learned that the four wheel drive system of the GT-R is malfunctioning and decided to save money for a more classic and genuine look of a Work Meister. Although the price of the custom ordered Work Meister is a sensitive topic, we can agree that it is worth the blood,sweat and tears. The Meisters bronze lip compliments the grey metallic r32 quite well. Attention to details is one of Gwen’s philosophies in life as well as being an OC when it comes to cleaning his pride and joy. I can’t count how many times he pull out his wheel cleaner and chamois to clean his wheels during the photoshoot/interview. One of those details is inside the headlights. Not noticable at first glance but when you look closely you’ll see a gunmetallic phase with a candy red outline which Gwen revealed that the paint came from those Tamiya spray cans. Enough of the storytelling now we hope here at Simplengbuhay Garage to enjoy the Photos. Build humbly, be simple and stay simplengbuhay.